In autumn, is the moment the terraced fields on the high northern mountains to glow a brilliant yellow. The yellow color of ripe wheat mixed with bright sunshine and excellent early morning fog creating shimmering beauty scene picturesque nature of the mountainous northern provinces. beauty is really more subtle than any great scene so that in our world that we can may gender about to. The beauty here can even cause your heart to stop beating. " Spread over an area of over 2.300ha, but most concentrated in 3 Commune, La Pan Tan, De Che Cu Nha and Xu aneurysm. 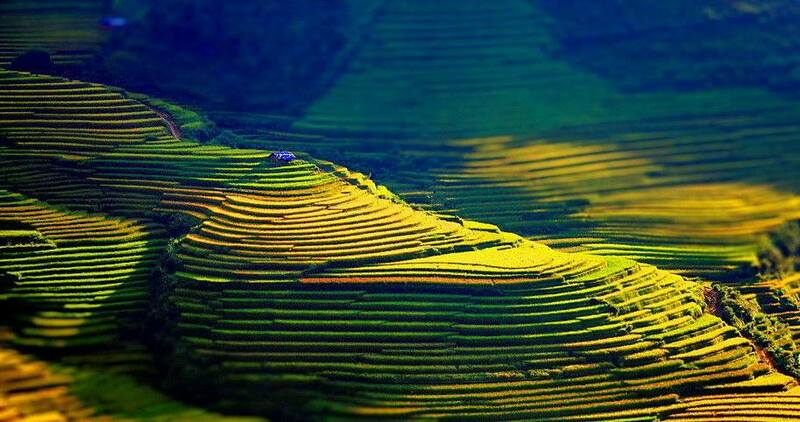 Mu Cang Chai's terraced fields where rice cultivation of Mongolia and it's also the evidence, demonstrate innovation in rice farming countries adapt to the climate, soil and irrigation of ethnic hill tribes. From on high looking down the terraces, guests will be overwhelmed by the dazzling beauty, perfection of the natural surroundings. At the moment, Mu Cang Chai is beautiful as beautiful hand-embroidered picture to every little detail, poetic and spectacular, captivated hearts. This feeling that will make you not uttered a word. 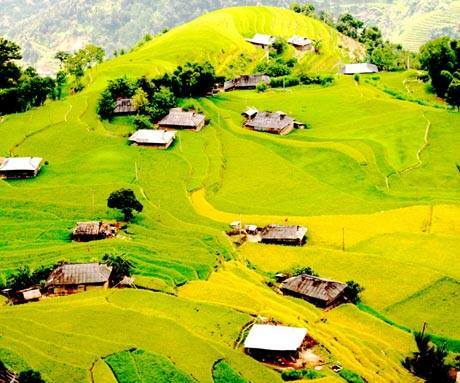 Is a district in the west of Ha Giang province. Hoang Su Phi terrain is relatively complex, fragmented by high mountain ranges and averages, lower toward the direction of flow of the river flowing river and Silver River, creating three main types of terrain topography high mountain, low and moderate hills, narrow valleys. 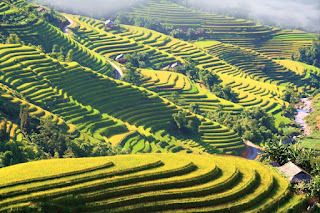 Have long, the terraced fields here were not just culture but also beauty, the pride Hoang Su Phi. 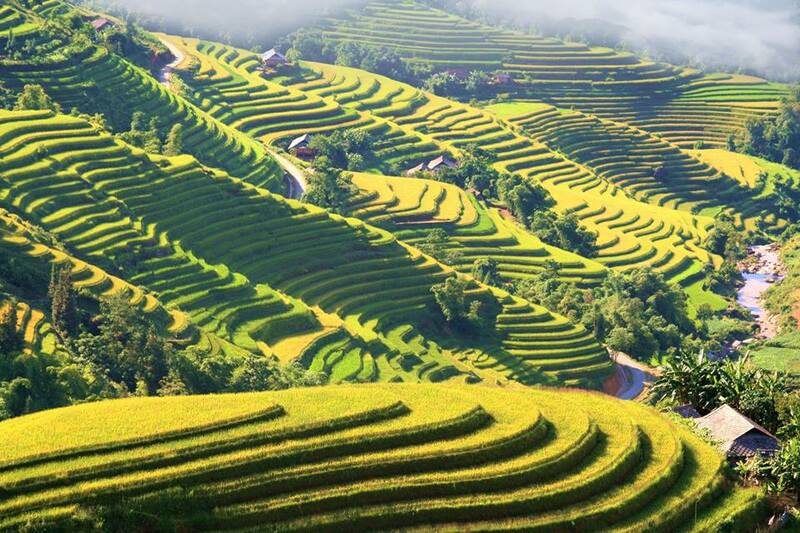 In September, October, the terraced fields in Hoang Su Phi step into crop ripe. When the rice yellow glamor everywhere was covered at the back tingle phượt players hit the road to admire the beautiful. Not only tourist attraction in the country, many international visitors come to admire traveled this unique beauty. The photographic artists see this as the ideal place to create art ... 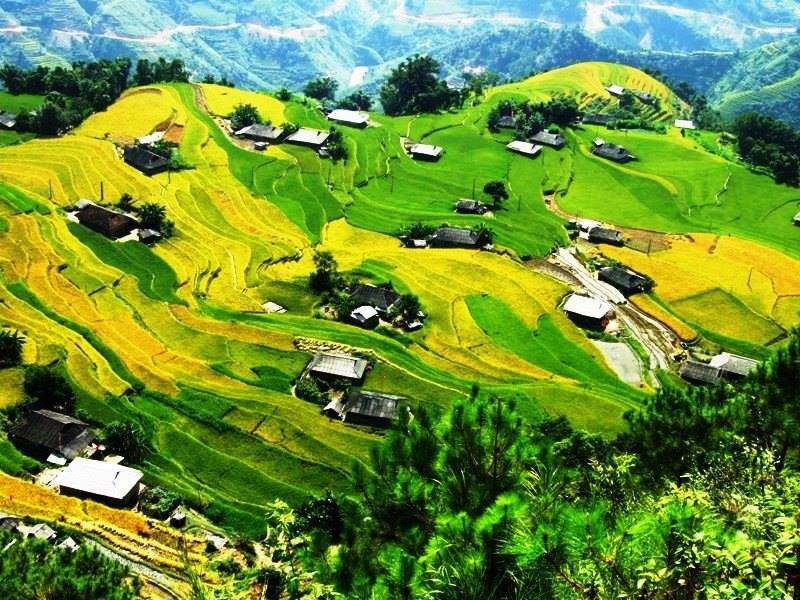 Facing immense scenery, visitors will be surprised from sight when thousands of terraced rice fields spread headline, winding around hillsides, mountain waist, shimmering under the clouds, sunbeams like a vivid picture. Is two destination should not be missed when coming to Vietnam. 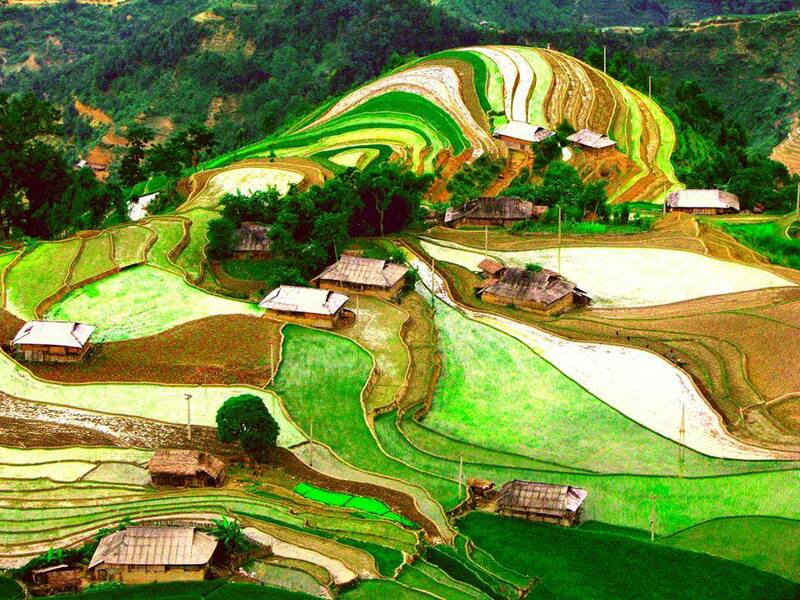 Mu Cang Chang and Hoang Su Phi promises to bring visitors interesting experiences by beauty at here. 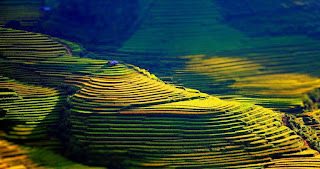 beautiful terraced rice fields of blooming yellow region most beautiful glossy like apricots in Mu Cang Chai (Yen Bai), Sa Pa (Lao Cai), Hoang Su Phi (Ha Giang) ... If Sapa is one very famous destination be not should missed when comming to Vietnam, Mu Cang Chai and Hoang Su Phi are also the point to no less attractive.